Edward Hatem was born on August 19, 1917, in Brewton, Alabama. He enlisted in the Mississippi National Guard on September 27, 1939, and served with Company M of the 155th Infantry Regiment (The "Mississippi Rifles"), going on active duty with the regiment on November 25, 1940. Sgt Hatem deployed with the 155th as part of the 31st Infantry Division to the Pacific Theater in May 1944, where he served in the New Guinea and Southern Philippines campaigns before returning to the U.S. in November 1945. He received an honorable discharge on December 23, 1945, and again enlisted in the Mississippi Army National Guard with the 155th Infantry on October 13, 1949. 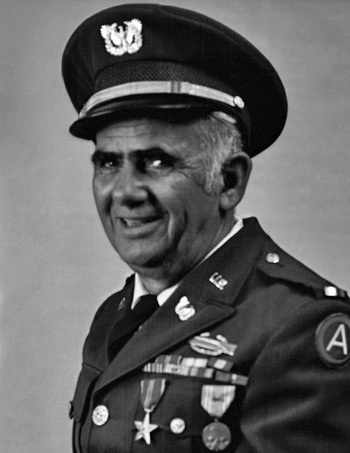 Sgt Hatem served on active duty from January 16, 1951, to September 17, 1952, in support of the Korean War, and transferred to the 890th Engineering Battalion of the Mississippi Army National Guard on December 6, 1955. 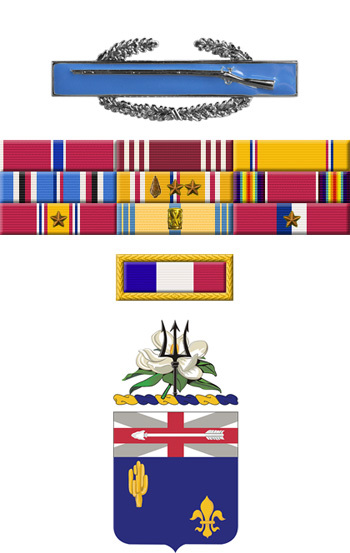 He accepted an appointment as a Warrant Officer in the Mississippi Army National Guard on June 9, 1961, and served as an Engineer Supply Officer with the 890th Engineer Battalion until transferring to the inactive reserve to await his retirement on January 26, 1968, retiring on August 19, 1977. Edward Hatem died on December 13, 1989, and was buried at the Long Beach City Cemetery in Long Beach, Mississippi. He was married to Margaret Ladnier Hatem (1921-1993) and in civilian life worked for the U.S. Postal Service, having been the first letter carrier in Long Beach, Mississippi.